Unanticipated disasters can cripple an organization. Flood, fire, earthquakes and other disasters, although rare, need to be taken into consideration when dealing with your company’s mission-critical data. What would the first step be if your business lost its financial data and email overnight? If you have backups, how long until you are able to commence business? How can information be communicated to customers and staff? 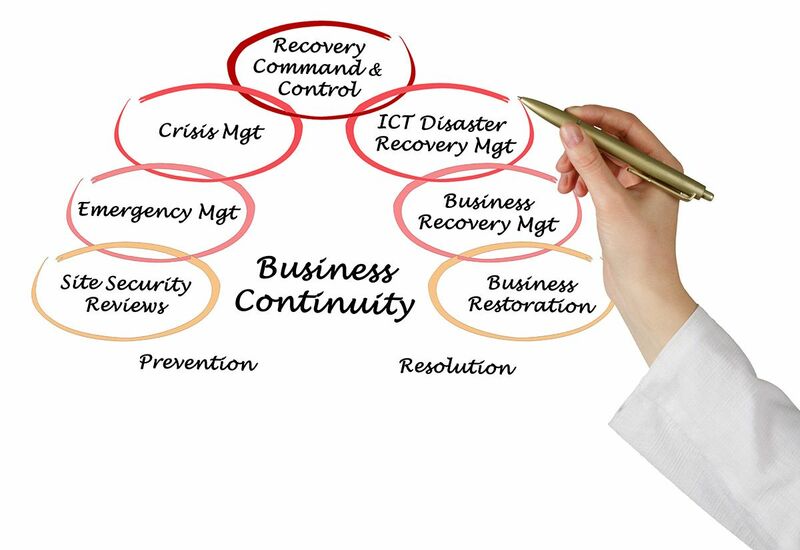 These questions and more can be answered in a comprehensive evaluation and recommendation for scaled Business Continuity and Disaster Recovery plans, tailored to your company’s specific needs. If your business finds itself in this unfortunate situation, contact us to learn how we can quickly get your IT infrastructure up and running. Contact us now for a free consultation in getting you business back up and running.